#IranOutOfSyria : Maryam Rajavi: Imagine if the recent reaction to the chemical attack had taken place 4 years ago. We have gathered today to honor the sixth anniversary of the epic battle of the PMOI in Ashraf on April 8, 2011, a stunning resistance and a glorious battle. An unequal confrontation between residents of Ashraf who were empty-handed but proud on one hand, and the armed forces of the clerical regime’s puppet government in Iraq who were armed to the teeth, on the other. On that day, the Iraqi forces’ Humvees and APCs ran over the bodies of the PMOI, their bullets piercing their chests and heads. Thirty-six PMOI members gave their lives for Iran’s freedom. Hail to my dear fallen sisters, Asiyeh Rakhshani, Fatemeh Massih, Marzieh Pourtaghi, Nastaran Azimi, Fa’ezeh Rajabi, Mahdieh Madadzadeh, Shahnaz Pahlavani, and Saba Haftbaradaran. These heroines set the foundations of the PMOI’s new Central Council on that day by their courageous fight and endless sacrifice at the forefront of one thousand valiant women. And hail to my dear fallen brothers, Hassan Avani, Jafar Bareji, Mohammadreza Yazdandoust, Golamreza Talghori, Ahmad Aghaii, Morteza Behesthi, Ali-Akbar Madadzadeh, Ghassem Etemadi, Nasser Sepahpour, Mohammadreza Pirzadi, Amir Massoud Fazlollahi, Hossein Ahmadi, Zohair Zakeri, Hanif Kafaii, Mohammad Ghayyoumi, Khalil Ka’abi, Saeed Chavoshi, Massoud Hajilouii, Saeedreza Pour Hashemi, Vargha Solaimani, Behrouz Sabet, Fereydoon Ayni, Zia’ollah Pour Nader, Mehdi Barzegar, Majid Ebadian, Alireza Taherlou, Bahman Atighi, and Mansour Hajian. These heroes set up the new organization of the PMOI and once again hoisted the flag of full-fledged and selfless battle for freedom in Ashraf. And on behalf of myself, the PMOI and every freedom-loving Iranian, I would like to tell you that we will keep the flames of your memories and names, each and every one of you, alight and alive forever. The flame of your sacrifice will remain alight in our souls until our people will embrace their long-yearned-for freedom. From Khamenei’s standpoint, the April 8, 2011 attack on Ashraf was a reaction to the popular uprisings in Iran, as was the case in 2009. Whenever Khamenei got stuck in the impasse of popular unrest at home, the nuclear sanctions and the war in Syria, he opted to attack the PMOI in Iraq which had been gradually occupied by the clerical regime. In fact, the PMOI and the Iranian people’s uprising have always been identical phenomena for Khamenei. The ruling mullahs in Iran hear the rallying cries of the PMOI, the army of freedom and the Iranian Resistance in every popular uprising which will ultimately put an end to their religious tyranny. Yes, the overthrow and termination of the mullahs’ regime is indisputable and inevitable. Khamenei and Maliki’s savage attack on the PMOI in Ashraf on April 8, 2011, was one of the disastrous consequences of the policy of western countries, particularly the United States, over the past 16 years which was totally in the interest of Iran mullahs. The same is true with the other six massacres carried out in Ashraf and Camp Liberty and the transfer of the protection of Ashraf to the armed forces of the mullahs’ puppet government in Iraq. It might be interesting for you to know that on the night of the attack, the U.S. forces based in Ashraf left the camp without prior notice. Like it or not, Maliki’s forces took advantage of this measure as a green light to carry out their mission. At exactly 11.02 p.m., Mr. (Tahir) Boumedra sent a message to Ashraf. At the time, Mr. Boumedra headed the UNAMI’s human rights office. He had sent the message on behalf of the U.S. Embassy and the U.S. State Department’s desk in charge of the case of Ashraf. The message indicated that General Ali Ghaydan (commander of Maliki’s Ground Forces) had ordered security forces to seize Ashraf’s vacant lands without harming the residents. The message explicitly emphasized that based on Maliki’s order, the security forces must not resort to violence. In less than six hours, however, the attack began with armored personnel carriers and automatic weapons opening fire on the residents. It thus became clear that Maliki’s message was a sheer lie attempted to drive the U.S. unit out of Ashraf and remove all obstacles for the massacre. The policy of silence and inaction vis-à-vis the attack on Ashraf consequently paved the clerical regime’s way for more aggressions in the region, waging war on other countries and violating their national sovereignty. The reality is that most of the disasters engulfing and devastating the Middle East today were originally caused by Western governments and especially the United States’ concessions to the clerical regime in Iran. Imagine if the recent reaction and response –to the chemical attack by Assad’s regime and the slaughter of defenseless people and innocent children– had taken place four years ago. Wouldn’t the situation in the region –with 11 million Syrian refugees and millions of homeless people– be completely different today? 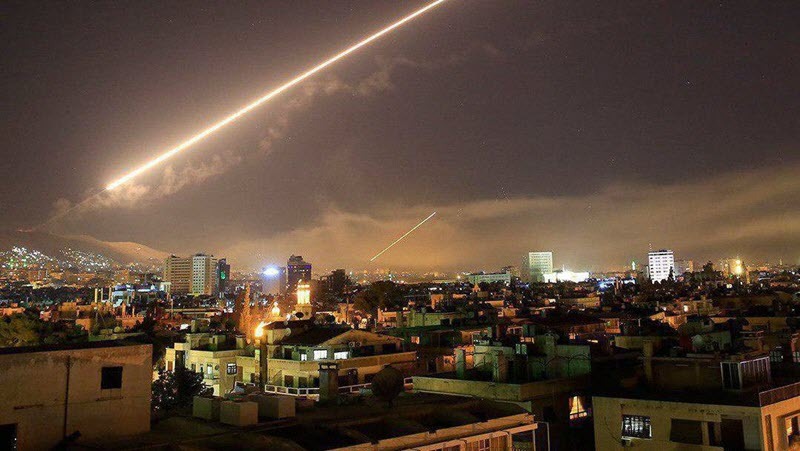 Indeed, if there were not a four-year delay in responding to the chemical attacks, would the Revolutionary Guards Corps (IRGC) be able to fuel and expand its war and destruction in Syria? How could the number of deaths in Syria exceed half a million? This is why the Syrian people and dissidents have welcomed the missile attack on Assad’s chemical centers and airbases. In contrast, the clerical regime has strongly condemned it. They tried to deny that there was any chemical attack by Bashar Assad. But if the religious dictatorship in Tehran was not involved in this inhuman crime, or had it not encouraged the Syrian dictator to carry out the attack, why would it need to conceal it? This is the reason we declare: After years of appeasement of the Iranian and Syrian regimes, which had no outcome but more war crimes and more crimes against humanity, the disabling of the chemical centers, bases, and the machinery of war and repression in Syria must be completed by expelling the Iranian regime, the Revolutionary Guards Corps (IRGC) and its mercenary forces from Syria, Iraq and Yemen. This is the reason we declare: Eviction of the godfather and main state-sponsor of terrorism in today’s world is the requisite to global and regional peace and tranquility and the uprooting of fundamentalism and terrorism. In the (Persian) New Year celebration here, when I spoke on the boycott of the mullahs’ sham election, I reiterated that the vote of the overwhelming majority of the people of Iran is regime change and the overthrow of the Velayat-e Faqih regime which has usurped the Iranian people’s right to sovereignty. In the early days of the New Year, Khamenei said that he would confront anyone who opposes, and actually rises up against, the regime’s election. Now, mullah Ibrahim Ra’issi, one of the principal members of the Death Commission which issued the death decrees in the 1988 massacre of political prisoners, has been nominated to run for president. No other incident could so clearly demonstrate how politically desperate the regime is in every respect. In the wake of the milestone uprising on December 27, 2009, Ra’issi shamelessly declared, “Anyone who helps the PMOI in any form and under any circumstances is considered a Mohareb (someone who wages war on God) because the PMOI is an organized force.” In fact, he has achieved the highest levels of the regime’s hierarchy because of his utmost callousness in spilling the blood of PMOI supporters and members. Now, let us look back at what happened during the four years of Rouhani in office: Three thousand executions; the horrific mass execution of PMOI members in Ashraf on September 1, 2013; escalation of the regime’s war against the people of Syria and Rouhani’s explicit support for Bashar Assad; and exorbitant expenditures from the country’s revenues on the wars in Syria, Iraq and Yemen. The truth is that repression and plunder at home along with terrorism and war abroad comprise the main pillars of the regime’s existence and its fundamental policies, whether the mullahs in charge wear white turbans or black turbans, whether they are charlatans or executioners. The Velayat-e faqih regime and the religious dictatorship in Iran has no way out of its crises. The people of Iran boycott the sham election and vote for overthrow of the clerical regime. The time has come for fruition of our martyrs’ sacrifices. The time has come for long years of suffering by the PMOI and the people of Iran to bear result. The overthrow of the mullahs’ religious tyranny and the establishment of freedom and democracy are within reach, and will be realized with the efforts of the Iranian people and youths and by setting up 1000 bastions of rebellion, i.e. 1000 Ashraf’s. Thank you for sharing my friend. You are a great friend and supporter for me. Innocent children targeted in the chemical attack in Idlib, Syria. International media aired horrifying images of Bashar Assad’s most recent massacre through an atrocious chemical attack staged by his Sukhoi 22 warplanes targeting the city of Khan Sheikhoon in Idlib Province, in Syria’s north. At least 100 suffocated to death and more than 400 were left injured with symptoms similar to those caused by sarin gas. Most of the victims were women and children and even the hospital where the victims were being treated was bombed. While the Syrian opposition delegation involved in the Geneva talks said this chemical attack has left future negotiations looking bleak, this horrific act of vicious barbarity should pinpoint the international community’s attention on the main element behind all this carnage: Iran’s involvement in Syria in a diehard effort to maintain the dictator Bashar Assad in power. A wave of international condemnations followed this killing spree. “Today’s chemical attack in Syria against innocent people, including women and children, is reprehensible and cannot be ignored by the civilized world,” U.S. President Donald Trump said in a statement. “While we continue to monitor the terrible situation, it is clear that this is how Bashar al-Assad operates: with brutal, unabashed barbarism,” U.S. Secretary of State Rex Tillerson said through a statement, urging Russia and Iran to prevent Assad from the use of chemical attacks. European Union High Representative for Foreign Affairs and Security Policy Federica Mogherini held the Syrian regime responsible for this horrendous chemical attack. British Foreign Minister Boris Johnson called for accountability for those behind the dreadful Idlib attack and his French counterpart Jean-Marc Ayrault requested an emergency United Nations Security Council meeting. German Foreign Minister Sigmar Gabriel said the world must not neglect Assad’s crimes and Turkish Foreign Minister Mevlüt Çavuşoğlu condemned the Idlib attack as an inhumane crime. The scene on the ground is considered even too gruesome to describe. Physicians in Idlib have called on the international community for their support. Idlib’s White Helmets warned of a humanitarian catastrophe in Khan Sheikhoun, adding Assad’s bombing campaign is targeting their sites and even known medical centers. The Syrian Physicians Organization said the al-Rahme hospital in Khan Sheikhoun was targeted in six different bombing raids, leaving no doubt of Assad’s indifference between military and non-military targets. Just considered a few of your pictures (: i’m really pleased i reached job darkness you.